Back in the day, the only thing a business knew was “Break-Fix”. Something breaks, then you fix it. Those were the rules of the game. However, this game wasn’t (and still isn’t) the easiest game to play. When it comes to your technology, you and your team need things to work at all hours of the day, not to endlessly go through a cycle of Break-Fix, Break-Fix, Break-Fix… The only thing that will do is lead to downtime, lost opportunities, and mountains of stress. Either way, it’s a problem — especially since these days, another option exists. Why does anything have to be broken to be fixed? 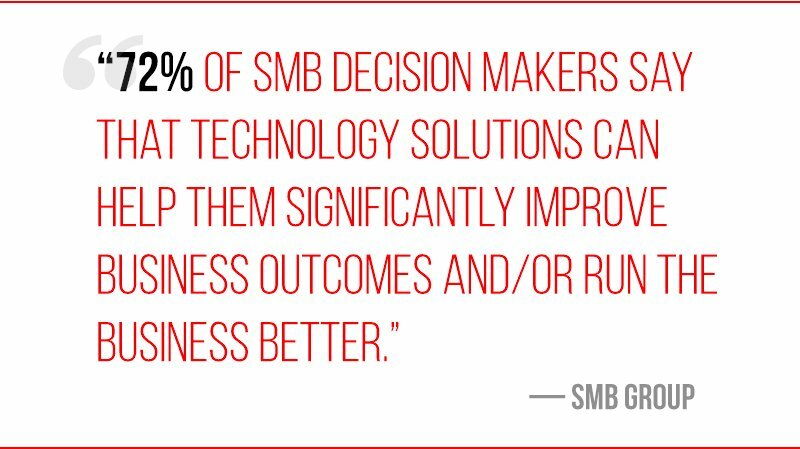 Again, businesses have another option — it’s called Managed Services. This solution doesn’t believe in waiting around for things to break. Instead, Managed Services is all about “proactive” care. Just as a human would avoid sicknesses and a premature ending with exercise, healthy food, and vitamins, Managed Services aims to avoid breakdowns and failures with regular hardware maintenance and routine network monitoring. As a result, Managed Services can help businesses of all shapes and sizes avoid all that downtime, all those lost opportunities, and all that stress. In this instance, a company who partners with a Managed Service Provider understands two very important things. Technology is a crucial piece of a company, and because of this, it should be considered an investment — not an expense. Technology can impact nearly every facet of a business — from customer service and product quality to reputation and scalability. It should be properly maintained so that this impact won’t be a negative one. But what are the major differences between the two? So you have two options — Break-Fix and Managed Services. Before we cover any further benefits, let’s first discuss the major differences between these two options. This way, there won’t be any lingering question marks as to which solution is the dominant one. Break-Fix is reactive. Your business doesn’t join forces with an IT company until you have an issue. In other words, something breaks and it needs to be fixed — so you call up the first IT provider who pops up on Google’s search results. However, it’s important to note that this goes above and beyond a broken piece of hardware. This can expand to cover anything from lost data and ransomware to the black screen of death and a damaging power outage. Any of this situations can result in expensive repair fees and massive downtime. Managed Services, on the other hand, is proactive. You sign a contract and partner with an IT Provider who will work to keep your technology functional at all times. In most cases, this goes above and beyond helpdesk support. An MSP provides ongoing maintenance and automatic updates and patches. This means that your hardware and software remain in prime working condition. It also means that your security solution remains up-to-date — which, nowadays, is a necessity for any business. On top of this, helpdesk support with an MSP doesn’t always begin at 8 am and end at 5 pm. A large majority of MSPs offer 24/7 remote support and emergency on-site assistance — because, let’s face it, problems happen when problems happen … they don’t wait around for you to clock-in for the day. With a Break-Fix mentality, your business will obviously cross paths with IT issues. These IT issues will need to be repaired, and those repairs will cost money. Unfortunately, there is no telling for certain when these issues will happen, and there is no way to accurately estimate how much these issues will cost your business on a monthly basis. But if one thing is for certain, it’s that repair fees are never cheap. On the other side of the spectrum, a Managed Services platform comes to you at a flat, monthly rate. All updating, maintenance, and repair work is wrapped up into that monthly fee. Because of this, you can create an IT budget and realistically stick to it. Sure, you still might not have the ability to guess when an IT issue will drop down on your business, but you can remain confident that it won’t break your wallet when it does happen. Also, it’s important to remember that with consistent maintenance and updates, IT issues will be few and far between. With Break-Fix, you never know who or what you’re going to get. Will you be able to find immediate support? Will the company know what they’re doing? Will the technician understand your infrastructure? At one time, you might receive excellent support with a solid resolution, and at another time, you might receive subpar support and no resolution at all. The thing to bring to the surface here is that — like mentioned before — you never know when you’re going to have an IT issue. And when one suddenly does pop up, finding a technician to fix that issue goes above and beyond a simple Google search. You have to compare and contrast prices and offerings, and then you have to take into account if and when a technician can even show up. Are they booked for the next day or two? Will you have to pay more money to get someone to your office sooner? Do any of these technicians even have the aptitude to fix your particular problem? This all takes time — time you may or may not have to spare. With a Managed Services platform, your business receives unlimited access to a dedicated IT outlet — an outlet that is entirely familiar with your current technology infrastructure. All of your questions will be answered, and all your issues will be resolved. On top of this, any problems you might have are typically dealt with according to type and severity — for example, the largest, most pressing issues will always be handled immediately and by the most experienced technicians. You’ll receive quick responses and permanent solutions to your problems, guaranteed. Managed Services triumphs over all. 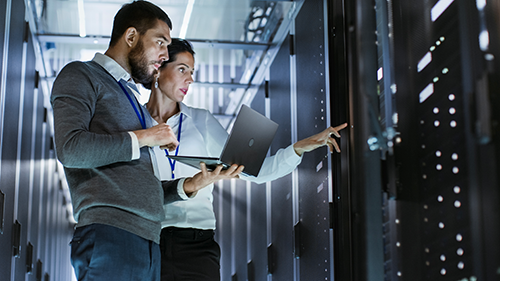 Throw out a few differences between Break-Fix and Managed Services and the benefits of Managed Services become obvious. This isn’t the case with Break-Fix. The only potential benefit of Break-Fix is one you can’t reasonably rely on — it’s the idea that you may have zero IT issues in one month. However, even if you do manage to go an entire month with no issues, it only takes one bad month to set you back. And this setback could potentially set you back the entire year. In this case, even just one issue on a Break-Fix model could cost you more money than you’d spend in an entire year on a Managed Services model. It’s a risk you have to be willing to take. So the question is … are you willing to take that risk? Managed Services can help your business reduce IT-related costs in a handful of ways, and one surefire way is through fewer repair fees. But another, less obvious way is through less downtime. Since a Managed Service Provider (MSP) believes in proactive care, your technology should rarely breakdown or cause you issues. Because of this, technology won’t stand in the way of your daily operations. 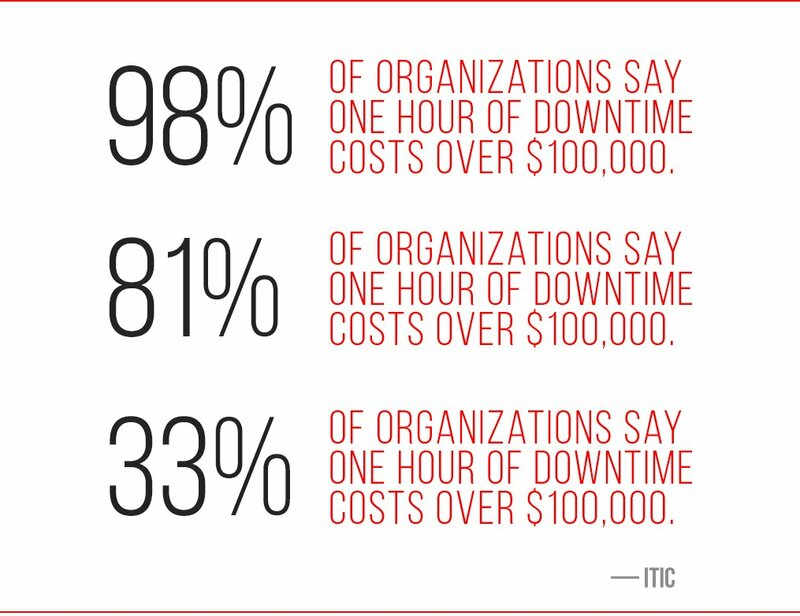 Your business will be able to avoid IT-related downtime and all the expenses that stem from it — like missed opportunities, unhappy clients, damaged data, and unproductive employees. Again, with a Break-Fix model, you never really know who or what you’re going to get. Since you’re paying another company to fix a “one-time” issue (and probably at an hourly rate), who’s to say you won’t be overcharged or that you won’t receive less than adequate support? Technically speaking, the more issues you have and the longer you experience these issues, the more money a Break-Fix provider stands to make off your company. It’s a harsh reality — but a reality nonetheless. However, things work differently with a Managed Service Provider. At this point, the better your IT works, the less work an MSP has to do and the fewer resources that provider has to use. In other words, MSPs don’t make money off your IT failures. Instead, MSPs only make money if your IT is functional and self-sufficient. Because of this, a Managed Service Provider will do everything possible to ensure your technology works as it should, when it should, and for as long as possible. This means you’ll receive quality support and permanent solutions no matter what. One of the greatest perks of Managed Services is the simple fact that you can keep your business ahead of the curve. You are no longer required to research technology on your own and forget what it was like trying to decipher bytes and specs. That’s not your job. That’s what your MSP is for. Your provider can help you discover, implement, and maintain the technology your business needs to realistically stay on track with its goals. IT consulting and guidance is a typical component of any Managed Services contract. What’s in store for Managed Services? As technology changes, so too does Managed Services. If this platform expects to keep your business competitive, your network safe, and your staff content, it simply has to evolve right alongside technology, right? Professionals everywhere rely on a slew of connected gadgets to accomplish everyday work tasks. Phones, tablets, laptops, and home-based workstations keep teams working, collaborating, and productive when they’re on-the-go and out of the office. As businesses begin to transition more and more to personal, connected devices and less and less to stationary, office-based equipment, it will become the MSPs prerogative to regulate and control these devices. BYOD (bring your own device) Policies will become more important, and MSPs will focus heavily on features that allow you to remotely wipe data, control Wi-Fi access, and manage passcodes and passwords. To automate processes and tasks is to save time, money, and resources. Therefore, as the future draws closer, MSPs will find new ways to automate old tasks. Whether this means automating your individual processes or automating service and support on the MSPs side of things, the automation will happen. And when it does happen, the situation will improve for all parties involved. “Jobs for workers like electronics assemblers and word processors, which are highly susceptible to automation, are anticipated to drop by 45,300 and 25,000, respectively, by 2026. With the widespread adoption of apps and gadgets in the business world and the overall acceptance of BYOD, protecting the IoT is slowly but surely becoming a piece of the MSP pie. This is all happening at a slower pace than we’re accustomed to seeing because the threats just aren’t completely there yet. However, when those threats do fully arrive, the world of technology will become a much scarier place to work. And when that does happen, it will become the job of the MSP to keep those threats away from the businesses they partner with. 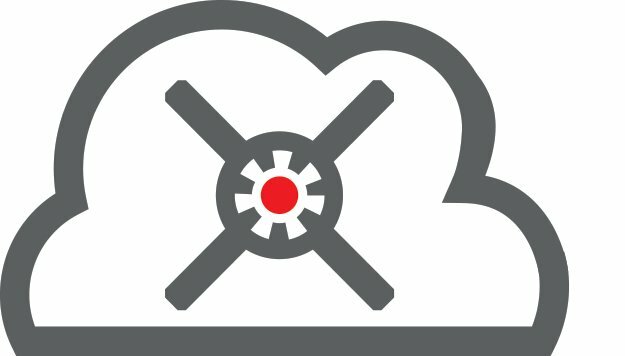 How can Stronghold Data help you? With decades of combined IT experience, the Stronghold team provides Managed Services to businesses of all industries and sizes. We believe in fostering solid, long-lasting relationships with the companies we partner with, and we believe in providing nothing less than high-quality IT solutions and honest IT support. With our help, we can keep your network up and running and your equipment healthy and functional. If you’re interested in learning more about our Managed Services platform, then give us a call today. We’d love to talk. Which platform will reign victorious?